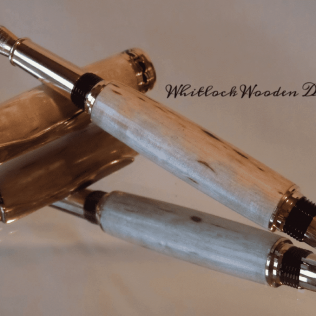 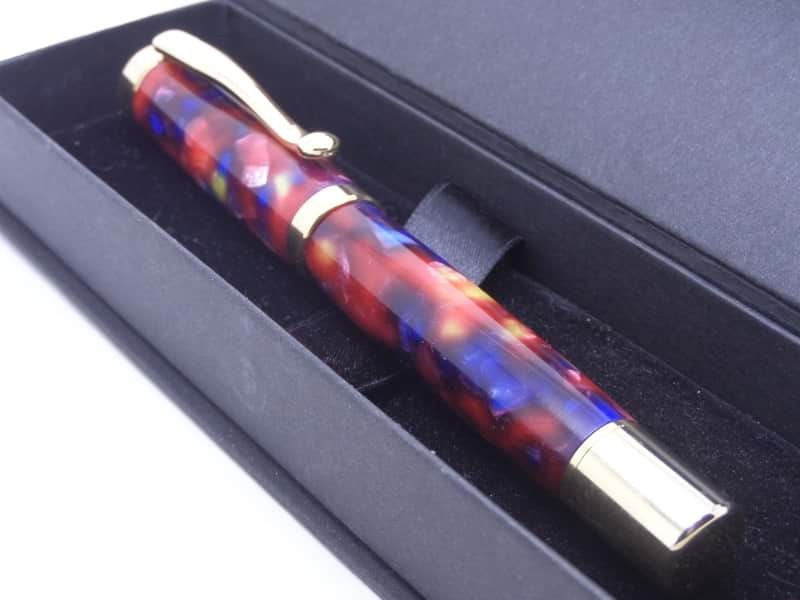 A multi coloured elegant fountain pen handcrafted on a lathe in my own UK workshop. 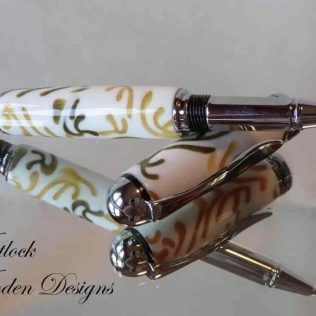 The pen has a high-quality gold-plated trim with a premium gold-plated medium point nib. 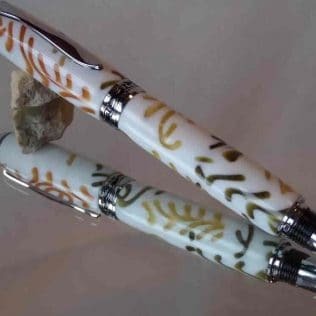 This writing implement comes ready to use with one ink cartridge as well as a good quality piston pump if you want to use your own bottled ink. 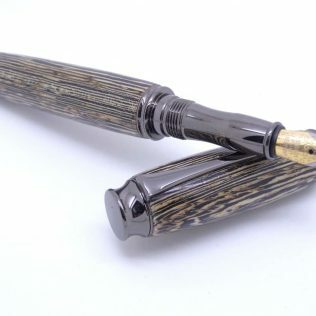 As you may well know fountain pens are the perfect fine writing instruments. The multicoloured pen barrels have been hand turned in a red, blue, purple and gold acrylic resin with a non-postable cap design. 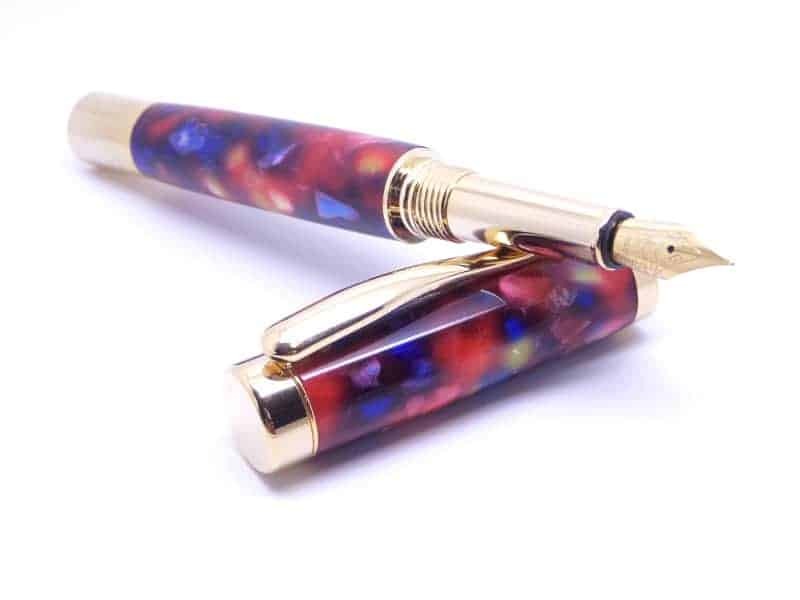 This is a beautiful pen suitable for either men or women. See more of our top ten fountain pens here in this video. 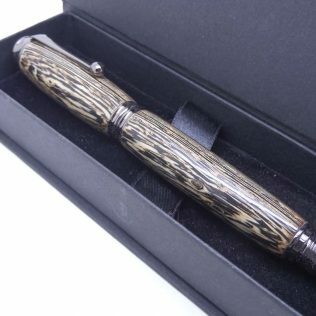 Every fountain pen gift comes in a presentation box as standard. 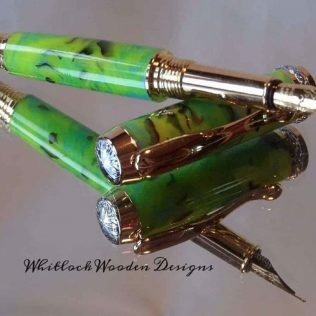 Each pen is different with colours and irradiance they will all make great gift ideas and unique handmade gifts for Mother’s Day, Christmas or Birthdays.